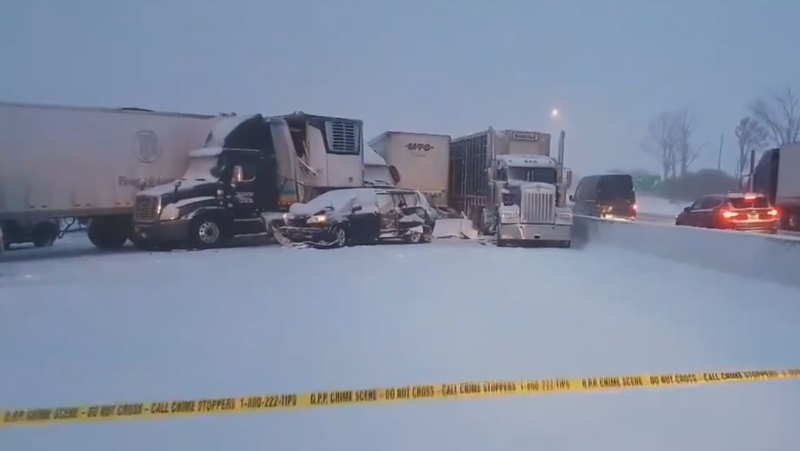 One driver is dead after one of three multi-vehicle crashes on the King’s Highway 401 near Woodstock. Provincial police first responded to the crash at Oxford Road 6/Foldens Line. The person was pronounced dead at the scene and their name is being withheld until next of kin is notified. Another person was taken to hospital with non-life-threatening injuries. That was one of three multi-vehicle collisions in the area on Wednesday afternoon. 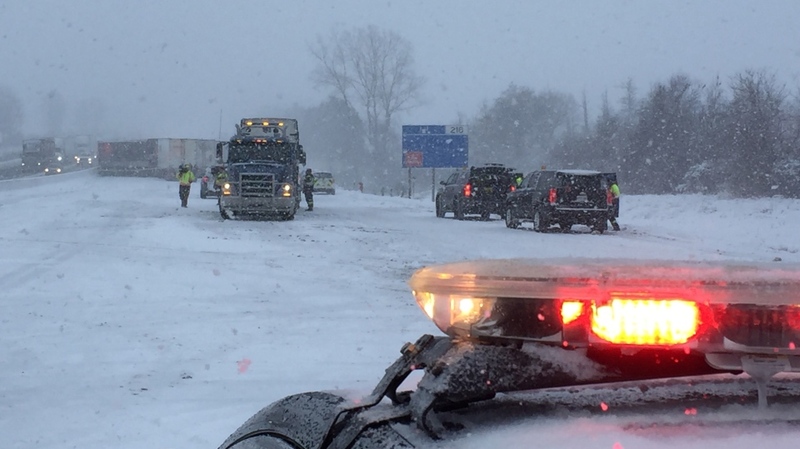 There was a second crash just slightly to the east at Sweaburg Road, also in the westbound lanes of the 401, that closed the highway in that area, and a third crash was reported in the westbound lanes near the eastbound OnRoute in Oxford County. Police say these two crashes involved about 27 people. 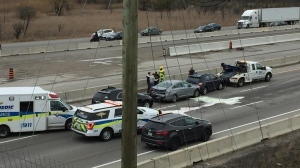 Drivers were being asked to avoid the area and heavy back-ups were being reported as westbound traffic was being forced off the highway at Mill Street into the south end of Woodstock. Police are investigating the circumstances around each of the three crashes. An extended road closure was in effect at Highway 401 from Highway 2 to Highway 19/Harris Street. With files from CTV London.